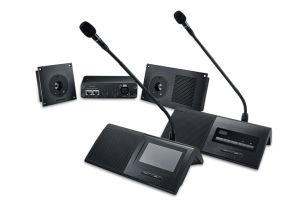 Microflex Complete is an integrated audio system for conferences and meetings. It delivers natural, intelligible sound and adds structure that can make discussions more focused and productive. 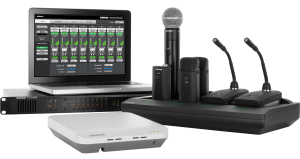 The Microflex Complete Wireless system offers full conference functionality with the added convenience of wireless. It overcomes cable limitations while encrypted digital wireless transmission keeps meeting content private.